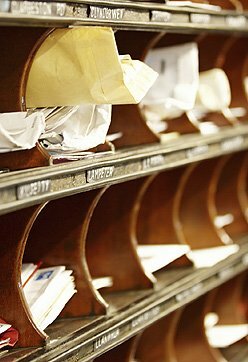 By reducing the post/mail held in offices, in in-trays and outgoing mail trays, you can clear the clutter. You can take steps towards a digital mailroom by sending all of your own correspondence via email and encouraging clients to reply in the same way. Emails can be placed into digital files that can be accessed quickly and easily as opposed to rooting through a mountain of paperwork for one piece of post. The words needle and haystack come to mind here so let’s make it easier to reach that needle by grabbing for the magnet, so to speak. To clear the backlog of hard copy post in your office, you can get it all scanned and converted into a digital mailroom system. Our digital mailroom services are quicker, easier, less space consuming and more environmentally friendly. At Pearl Scan, we can collect your post from a previously set up, secure PO Box, regularly. We will bring it to our scanning bureau where it will all be sorted, scanned and indexed. The digital copies will then be sent to you so you can access the important post without being weighted down by paperwork. Maintaining good organisation is the responsibility of everyone in the office so we recommend regular staff meetings in which staff can voice their suggestions as to how the office can stay organised. If staff feel like their voice is being heard, their morale will be boosted too and with boosted morale and better organisation, efficiency will go through the roof. Once you have got started with your digital mailroom, why not go the whole hog and conduct all business online? If you or your employees are spending more time searching for the documents needed to complete work than actually working due to piles of documents lying around the office and in storage, then now might be the time to go digital with your document management system. 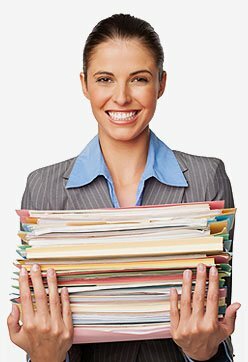 Scanning documents to digital format and securely shredding them afterwards not only opens up vital space in the office, but you will then be able to access, share and secure any documents you need, whenever you need them. Here at Pearl Scan, we offer a range of document scanning and digital document management solutions to help businesses improve their organisation and efficiency while also saving money. To find out more about how Pearl Scan can help you, or to get a quote for our document scanning and digital mailroom services, get in touch today.